Great Indian Restaurant Festival and Dine Out app. We had such a good time at Punjab Grill that I just had to talk about the food. I am not a seasoned food blogger, but I will try my best to describe it. 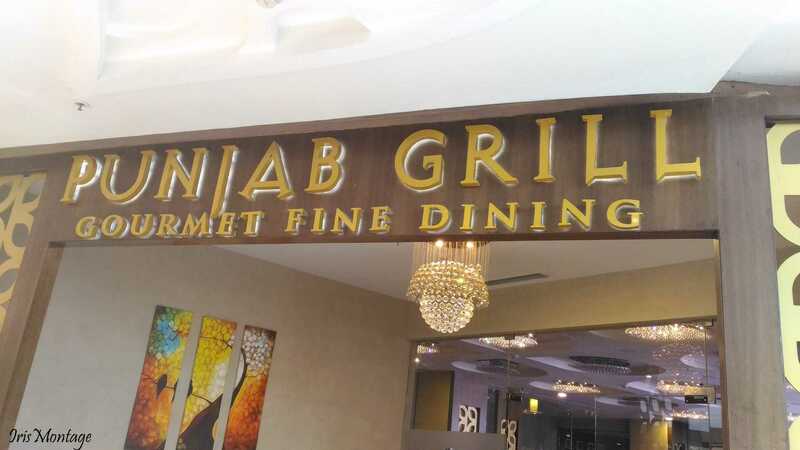 The Punjab Grill that we went to, is in Phoenix Mall, Velachery. As we had booked via the app, getting a table was a breeze and we got a nice corner table perfect for a noisy bunch of 7. The place is well lit and the entire ambiance is bright. A very family oriented restaurant. I was pleasantly surprised to see that there was quite an extensive vegetarian grill section and loads of vegetarian options in the main course gravies. 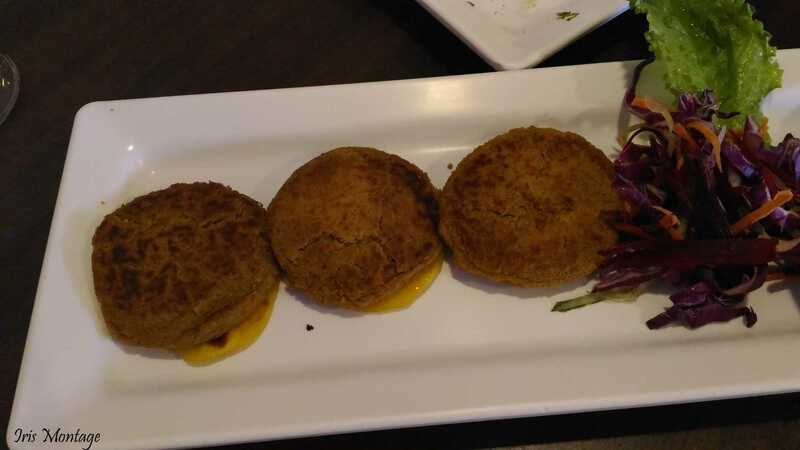 Dahi Ke Kabab- So this was my choice of dish. I had this once before somewhere and I loved it so I really wanted to try it again. The serving is pretty big and I honestly do not see just 2 people being able to finish this and have a main course + dessert. It is not served with any particular chutney. The dahi was well marinated and seasoned with spices but I felt that there was a bit of an extra tinge of elachi. So initially when you bite into it you this sweet soft taste of dahi and then there is a very slight bitter taste at the end when you swallow. Subz Ke Khaam Khatai (Veg Galouti) -So my knowledge of this dish is that it is generally made with a kheema (minced meat). The vegetarian version had Yam and Zucchini (though we could not really find any zucchini when we tasted this). It was slightly more spicy than we expected. Again not served with any particular chutney except for a common mint chutney given along with all starters. 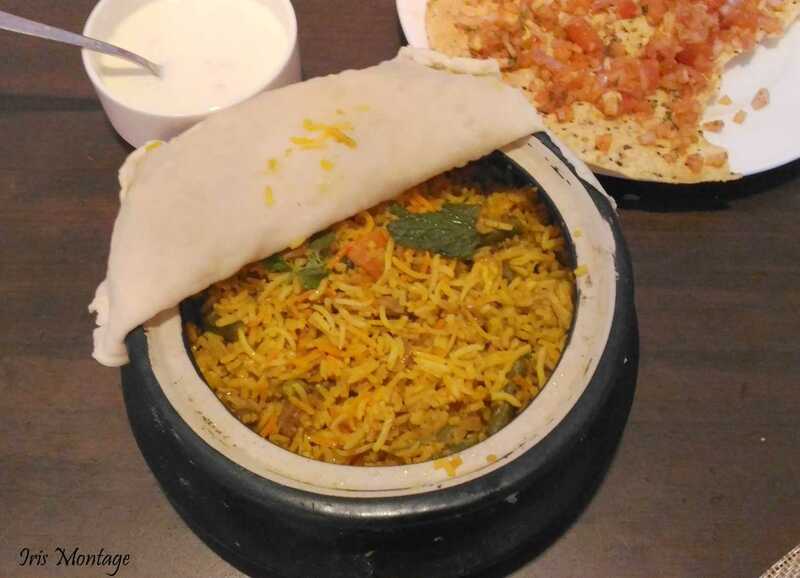 Tarkari Kesari Biryani- Vegetarian and biryani don't really go together is what a lot of traditional Tam Brams feel. It is a dum biryani but honestly we feel like it could have been better (I say we because I have my brother in law and sister in law are giving me their comments as I type). It was well cooked and tasty but may not the best that they have had. Personally for me, I think it was good but I am not a huge fan of biryani because I always find it to be a bit too much of masala for my tastes. Paneer Lababdar- I love paneer dishes that just melt in your mouth and this one did just that. Oh man, the paneer was super soft and the gravy of tomato, onion and bell pepper was seasoned perfectly. The spices just merged with the gravy in perfect harmony. Amritsari Malai Kofta- The size of the kofta was a bit large and we had to share it. The kofta itself was soft and well cooked. The gravy had the slightest sweet aftertaste and again I felt like the cinnamon flavour was a bit more than what was needed. The kofta has absorbed a lot of the flavour of the gravy and was the perfect accompaniment for the breads that we ordered. 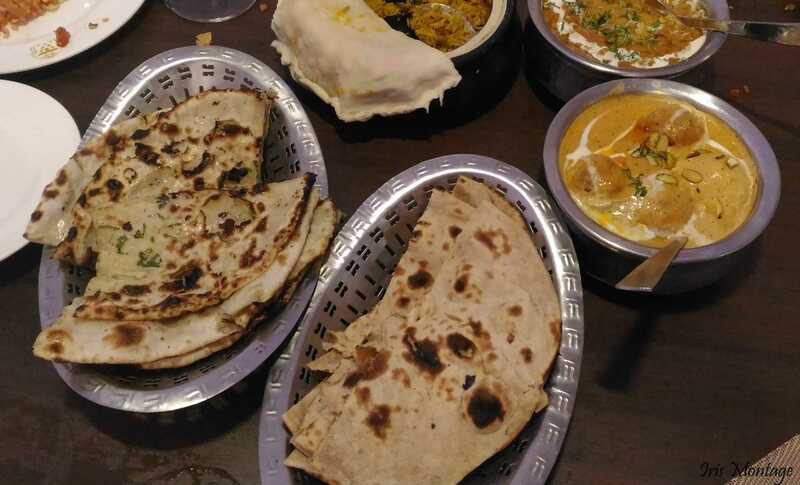 We chose Amritsari Aloo Kulche, Tandoori Roti and Missi Roti. Normally I would order Garlic Naan because I am a huge huge fan of garlic naan with butter just dripping over the edges. However when I saw Amritsari aloo kulche on the menu, I just had to have it. I have had Amristsari aloo kulche in Amritsar so I know the authentic taste. 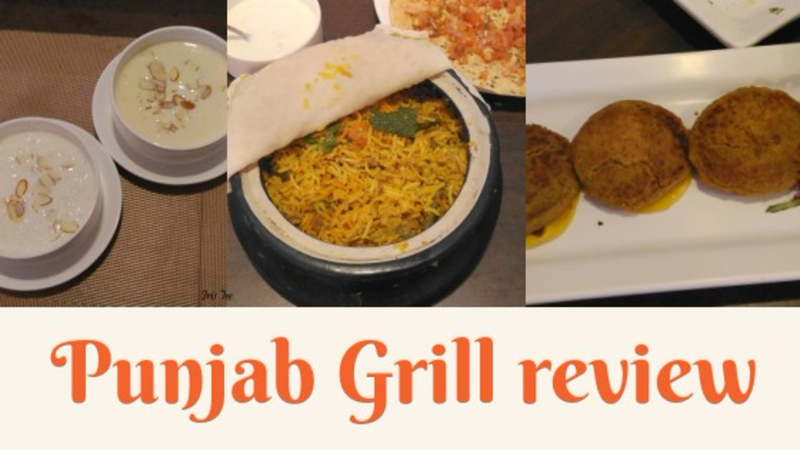 How did Punjab Grill fare? Not the same but quite good. It was not too thick and so even after it went a bit cold it still was edible. 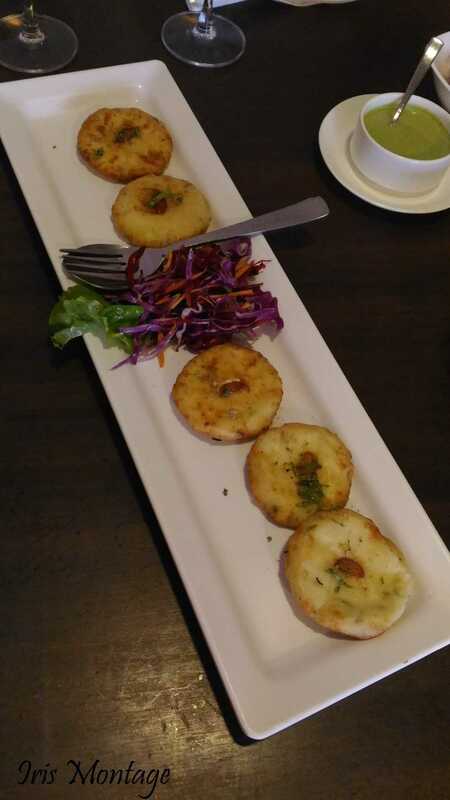 The aloo was evenly distributed and the masala was not overwhelming. Tandoori Roti, well is Tandoori Roti. I am not a fan of it because it just a thicker version of a chappati which I can totally make at home. But there are people who enjoy it aka my husband. I was told that it was how Tandoori Roti should be. So no complaints there. The Missi Roti was a bit more dry than we would have liked and if you order it, then make sure to eat it soon. It is really not meant to be eaten cold. All the portions served were quite large. - I swear I am simply drooling at the very mention of this rabdi. It was smooth, sweet and of a slightly viscous consistency. It melted in the mouth and left this ambrosial flavour in the palate. What a way to end a meal! 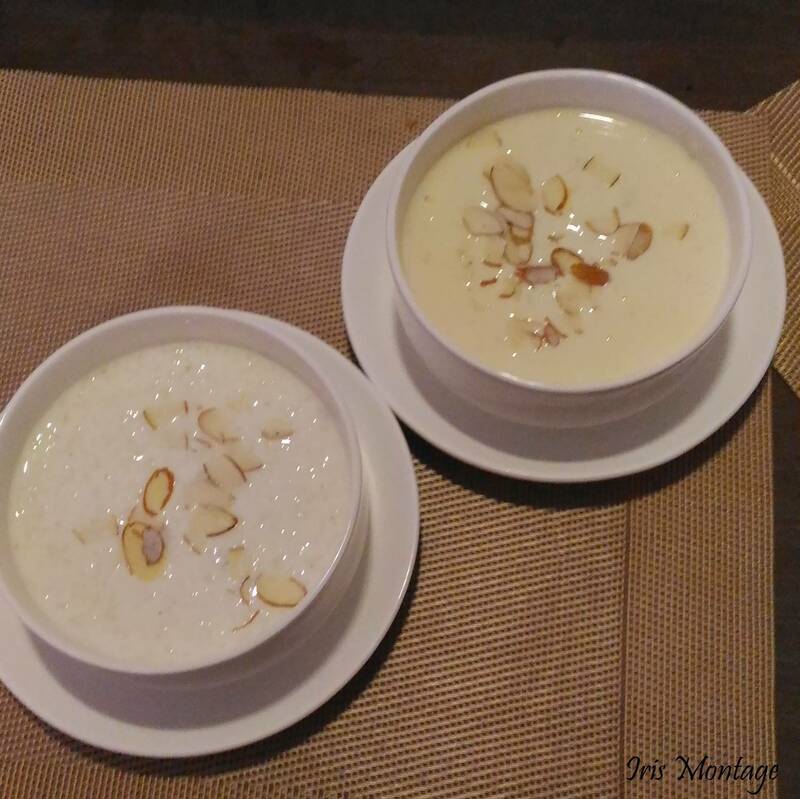 - This rice cooked in milk sweet definitely pales in comparison to the Rabdi. 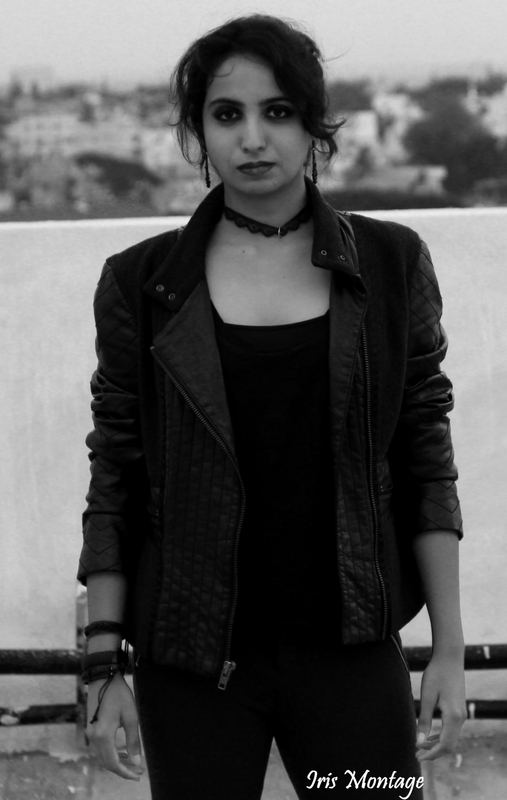 Not that it was not good. 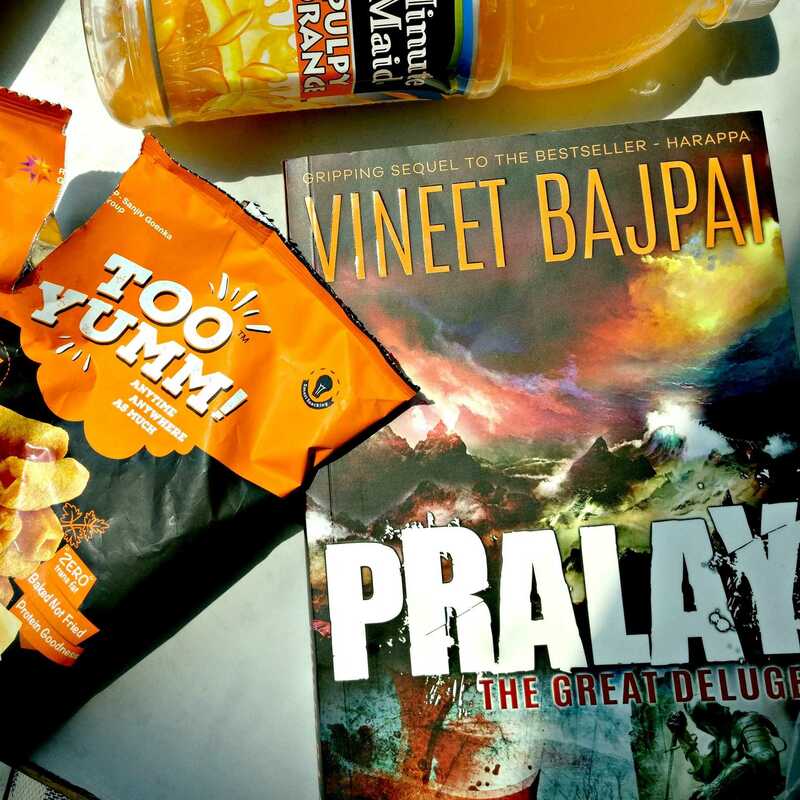 But don't go for both of these if you are a sweet lover. The rice was completely cooked and the milk was sweetened just the right amount. 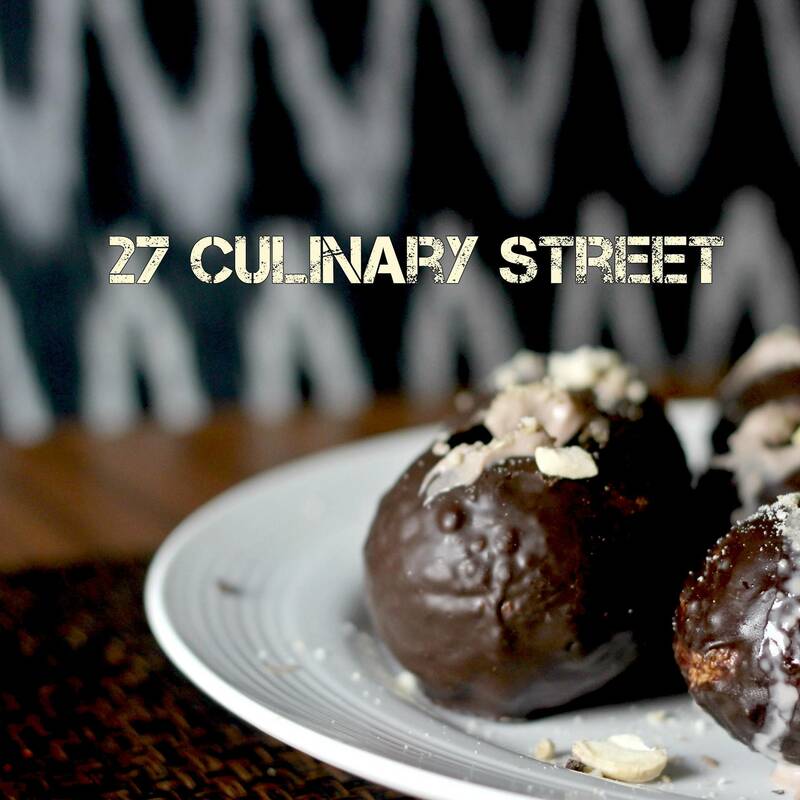 This is a winner dessert. - A Falooda is generally associated with colourful layers of ice cream. A kulfi falooda is not that. 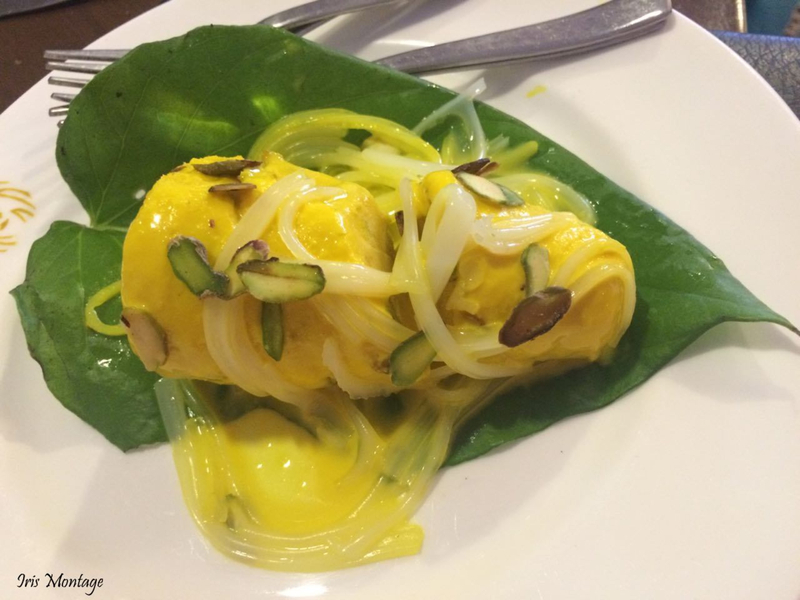 This is a pista flavoured kulfi served with noodles. The kulfi could most definitely be creamier. I mean I have had creamier ones and so hence the expectation. Well we got a 50% off the food bill because of the Great Indian Restaurant Festival. Without the discount it would have come to around 5000INR for 7 of us. This is for just vegetarian food without alcohol. Tasty Punjabi Food. Slightly on the higher price point. Great Ambience. Worth going for a special occasion. Have you eaten at Punjab Grill? Leave more places to try Punjabi food either in Bangalore or Chennai down in the comments. We definitely want to try new places.